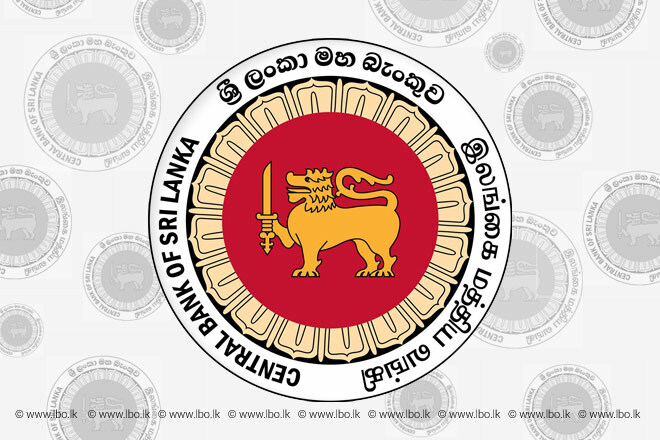 Apr 04, 2018 (LB0) – Sri Lanka’s central bank has decided to reduce the Standing Lending Facility Rate (SLFR), which is the upper bound of the policy interest rate corridor of the Central Bank, by 25 basis points, a statement said. The Monetary Board was of the view that the favourable developments in the economy warrant a reduction in policy interest rates of the Central Bank. In the meantime, risks arising from global economic developments and the domestic fiscal front were identified as factors that need to be closely monitored, going forward, the statement added. Considering the favourable developments in inflation and inflation outlook as well as lower than expected real GDP growth that further widened the prevailing gap between actual and potential GDP growth, the Monetary Board, at its meeting held on 03 April 2018, decided to reduce the Standing Lending Facility Rate (SLFR), which is the upper bound of the policy interest rate corridor of the Central Bank, by 25 basis points. This decision is also expected to dampen the volatility observed in interest rates in the domestic market during the recent past. According to the provisional estimates of the Department of Census and Statistics (DCS), the growth performance of the Sri Lankan economy in 2017 was sub-par having recorded a growth of 3.1 per cent (year-on-year) compared to the growth of 4.5 per cent (year-on-year) in 2016. While the Central Bank’s monetary policy easing measure is expected to address the near term tepid growth prospects, it is essential that the planned structural reforms are carried out without delay for the economy to move towards a sustained high growth path in the medium term. The continued slowdown in food inflation alongside the favourable base effect caused headline inflation, based on the Colombo Consumer Price Index (CCPI), to decelerate further in March 2018. During the first two months of 2018, a similar downward movement has been observed in National Consumer Price Index (NCPI) based inflation as well. Responding to the tight monetary policy stance, core inflation remained below-mid-single digit levels, while inflation expectations remain anchored. In keeping with these developments, headline inflation is projected to be within the targeted levels during 2018, even after accounting for the impact on inflation from possible administered price adjustments in the near term. On the external front, in January 2018, export performance improved both in terms of price and volume, which however was outpaced by the increase in imports, thus causing a widening of the trade deficit. Nevertheless, improved foreign exchange inflows in the form of earnings from tourism as well as workers’ remittances helped cushion the impact on the current account to some extent. Supported by the moderation in inflation during the first quarter of 2018 and the gradual depreciation in the nominal exchange rate, the real effective exchange rate (REER) indices recorded a gradual adjustment, thereby augmenting the country’s competitiveness. Improved competitiveness under the flexible exchange rate regime would help reduce the external current account deficit in the future. So far during the year, the Central Bank has been able to purchase over US dollars 400 million from the domestic foreign exchange market to build up international reserves, in addition to the net foreign exchange purchases of US dollars 1,664 million in 2017, thus improving the non-borrowed portion of external official reserves and reducing the vulnerability to external shocks. Fiscal slippages in spite of the government’s efforts towards consolidation caused the overall fiscal deficit to deviate from its envisaged path in 2017. However, notable improvements were observed in tax revenue collection and current expenditure, helping the government to record a primary surplus and a moderation in the debt to GDP ratio in 2017. The implementation of the Inland Revenue Act (IRA) with effect from 1 April 2018 along with other reforms to improve revenue administration are likely to support fiscal performance in the period ahead. In the monetary sector, in spite of the increase in credit to the public sector by banks, the growth of both broad money supply and credit extended to the private sector remained subdued during the first two months of 2018. Most market interest rates have stabilised at high levels, while real interest rates indicated an upward trend with declining inflation. However, an undue increase in short term market interest rates was observed recently, requiring the Central Bank to take corrective operational measures to address such volatility. The Monetary Board was of the view that the above developments warrant a reduction in policy interest rates of the Central Bank. In particular, the favourable developments in inflation, inflation outlook and the trends in the monetary sector, along with the lacklustre performance in economic growth, were viewed as factors supporting some relaxation of the monetary policy stance. In the meantime, risks arising from global economic developments and the domestic fiscal front were identified as factors that need to be closely monitored, going forward. With this decision of the Monetary Board to reduce the Standing Lending Facility Rate (SLFR) of the Central Bank by 25 basis points, SLFR will be at 8.50 per cent, while the Standing Deposit Facility Rate (SDFR) will remain unchanged at 7.25 per cent. The narrower policy rate corridor will also help the Central Bank to maintain short term interest rates at desirable levels with less volatility. The release of the next regular statement on monetary policy will be on 11 May 2018.